Are you looking for some fun summer sensory play bins to make for your child? 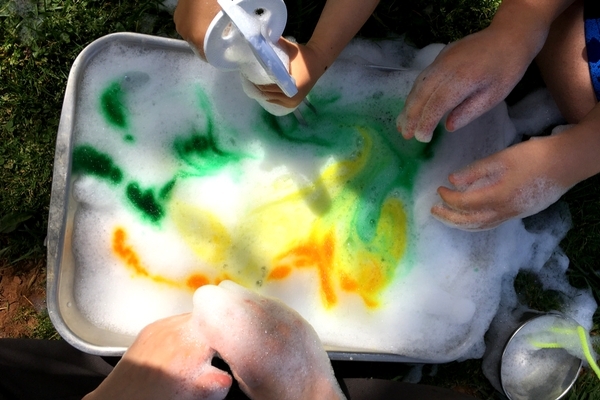 These summer sensory play ideas are not only fun, but educational as well! 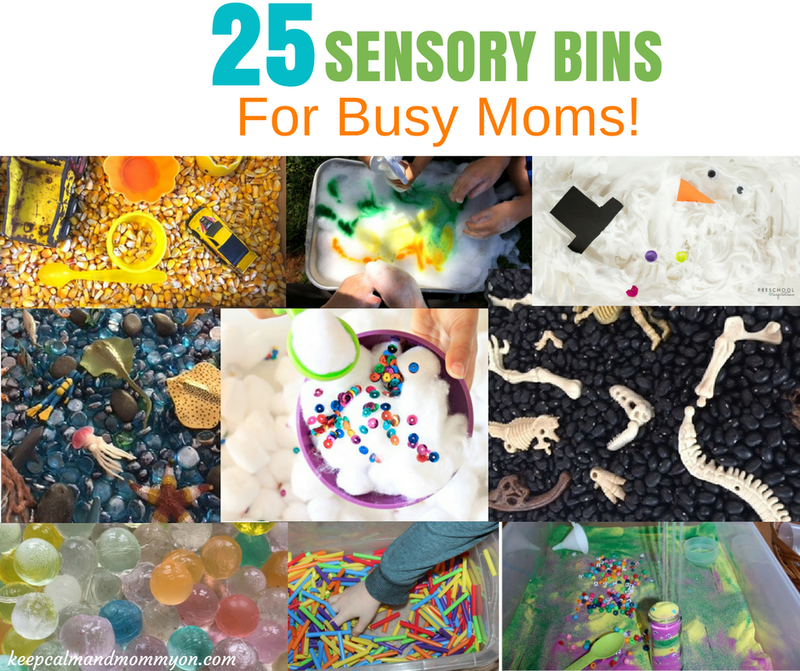 Try all of these 19 summer sensory play bins to experience stimulation of the senses! These sensory bins have something for both toddlers and older children. Now, I do want to say that while sensory bins are great for toddlers, if your toddler is prone to putting things into his or her mouth, be sure to keep an eye out with some of the bins as some contain small items which can be choking hazards! There are so many different summer sensory play ideas to try! Sensory bins are just one of many fun summer activities. You can find more summer fun in my post 15 Water Activities for kids! Who doesn’t love a day at the beach?! 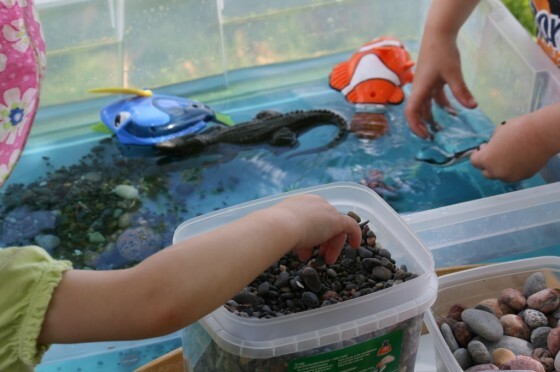 This summer sensory bin idea is loads of imaginative fun! My kids loved playing with their dolls and animals for hours in this sensory play activity! Take a swim, lay in the sun, play in the sand, etc. It’s everything that a day at the beach includes! 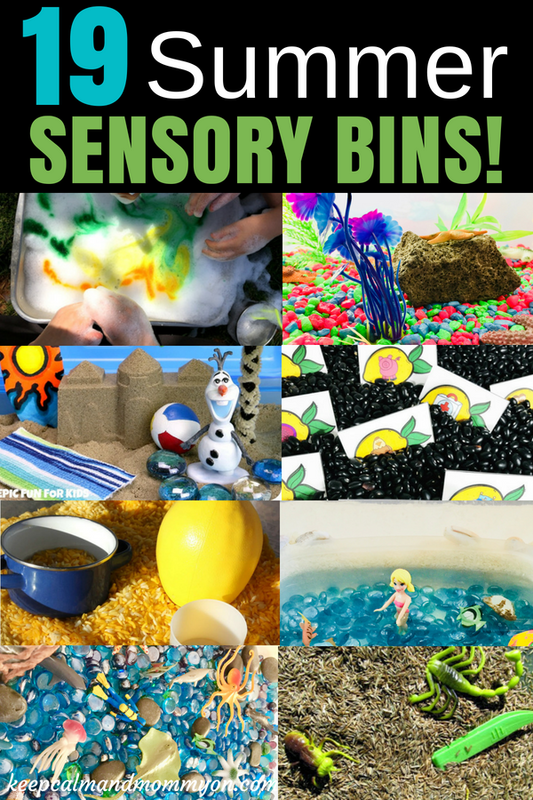 Find the directions to make this sensory bin in my post Day At The Beach Sensory Bin. This bright and colorful summer play bin is easy to make and will keep your little one busy for hours! Find out exactly how to make this sensory bin at Things to Share and Remember. What better way for your little one to spend their summer than working in their very own vegetable garden bin?! Using items that you probably already have on hand, this Vegetable Garden Sensory Bin is easy to assembly. Plant veggies while trying to keep the woodland creatures from eating all of your tasty hard work! This sensory play activity is a great sensory bin for outside play. And it’s huge! There are so many fascinating aspects to this sensory bin that will keep your child entertained all summer! Find out exactly how to assemble this Ocean Summer Sensory Bin at Fantastic Fun and Learning. This is a sensory bin for summer that does not contain water. 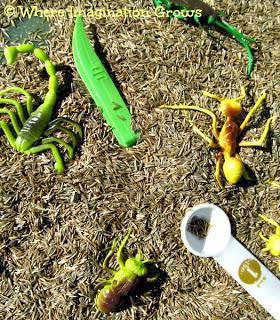 The Grass Seed Sensory Bin is full of stimulating materials and loads of creepy crawly fun! 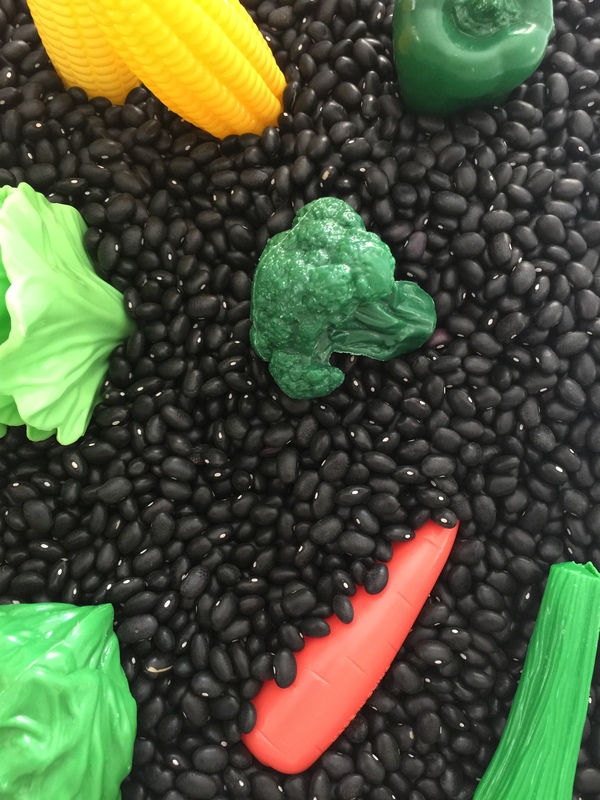 Where Imagination Grows shares exactly how to make this sensory bin. 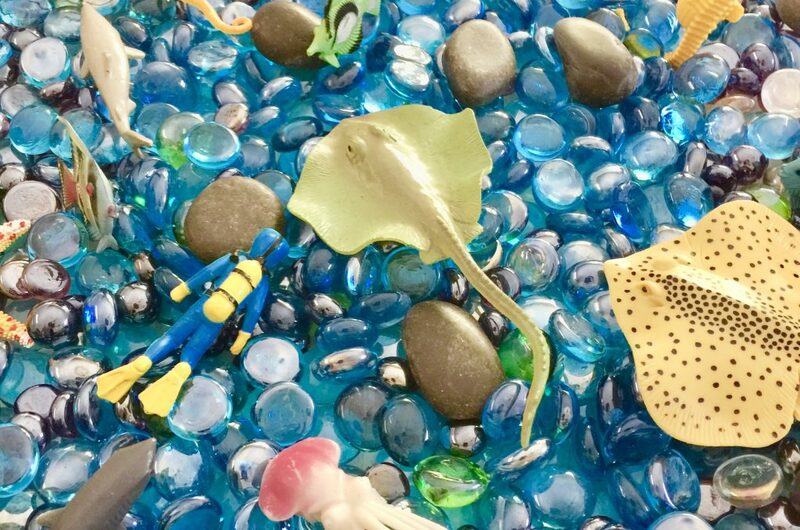 Explore the deep sea and everything that lives and grows in it with this sensory bin! 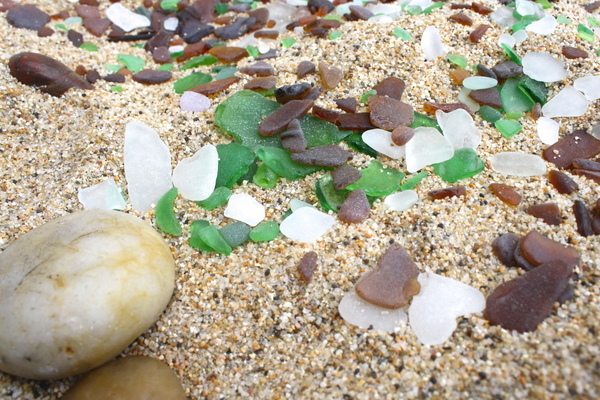 Not only is this easy to assemble and lots of sensory fun, but it’s a great way to teach your child about ocean life! Find out how to make the Deep Sea Sensory Bin here. Make Way, Make Way…. for Moana! This sensory bin is a great way to combine sensory play with a favorite Disney movie! 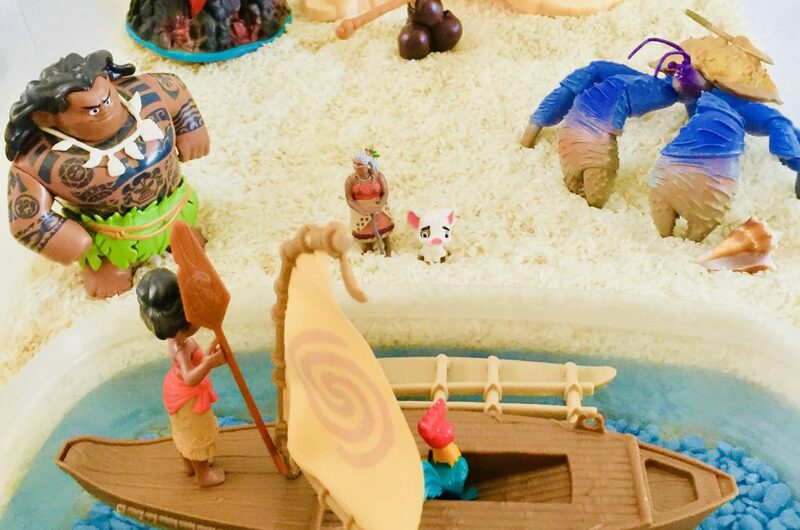 You can find everything I included in this Moana Sensory Bin here. This is a great activity for your little outdoor explorer! Find out how to make this fun and simple sensory bin at Everyday Chaos and Calm. Make vibrant summer soup with your toddler! 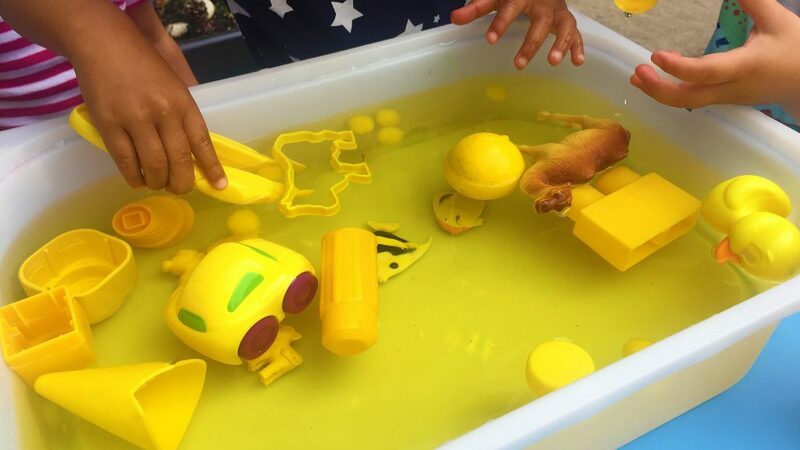 This colorful fun and wet sensory play idea is sure to be a hit this summer! 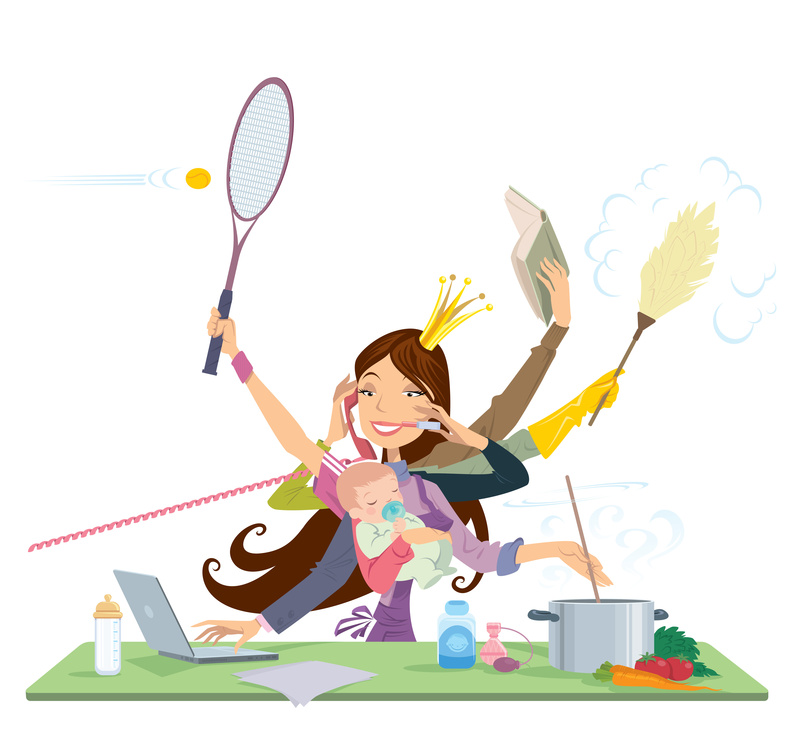 Find out how to make this bin at The Chirping Moms. Make a fish tank that kids can actually play in! This fish tank sensory bin was a big hit with my kids. It contains all of the elements of real fish tank, making it similar to a touch pool. 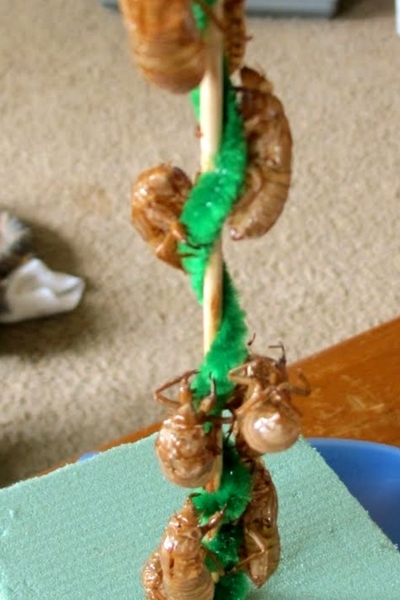 A great summer fun activity for kids of all ages! 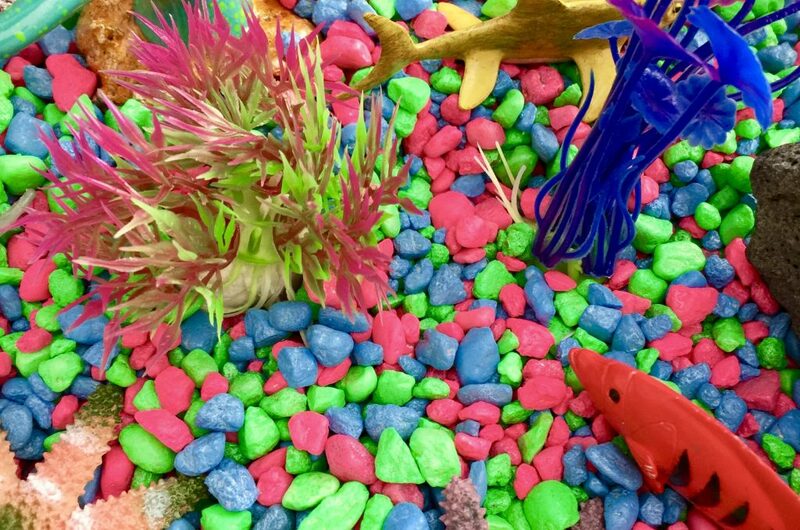 Find out how to make the Fish Tank Sensory Bin here. Add color for extra special suds! A great outdoor activity for those hot summer days. Find out how to make this sensory bin at Everyday Chaos and Calm. 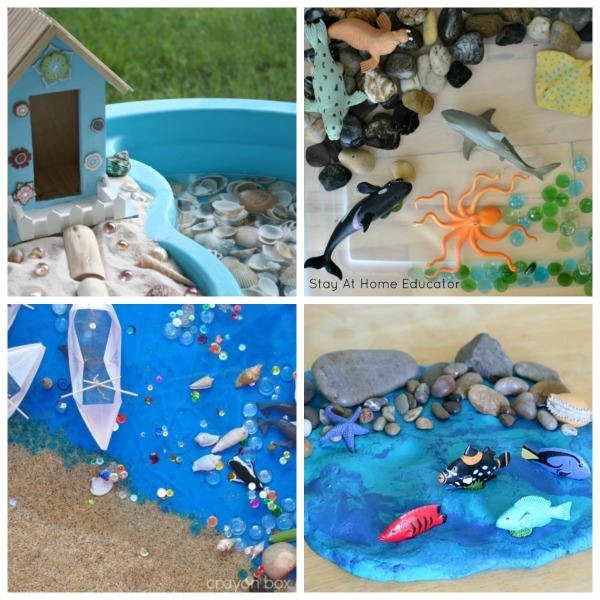 Another great way to incorporate ocean play and learning with sensory stimulation! Find out how to make this great summer sensory bin at Happy Hooligans. This beach sensory bin is full of lots of different sensory items. Lots of different textures to explore. 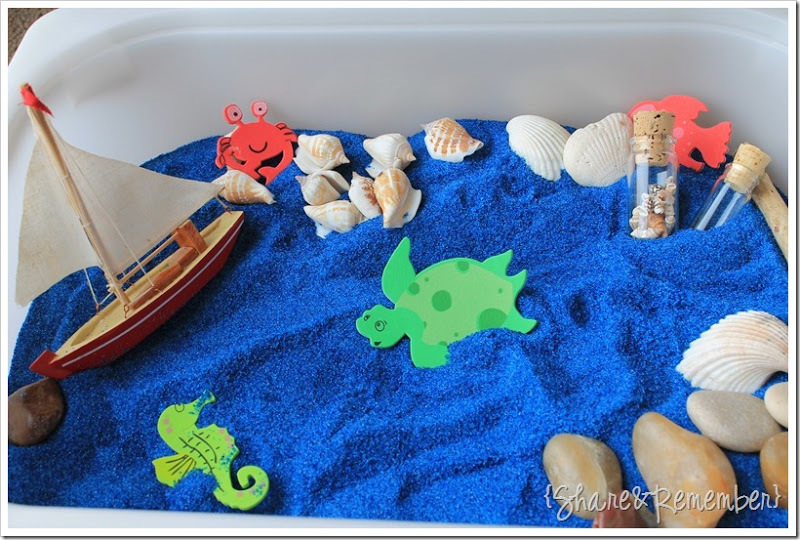 Find out how to make this beach sensory bin at Buggy and Buddy. In addition to a vegetable garden, let your toddler plant a flower garden! 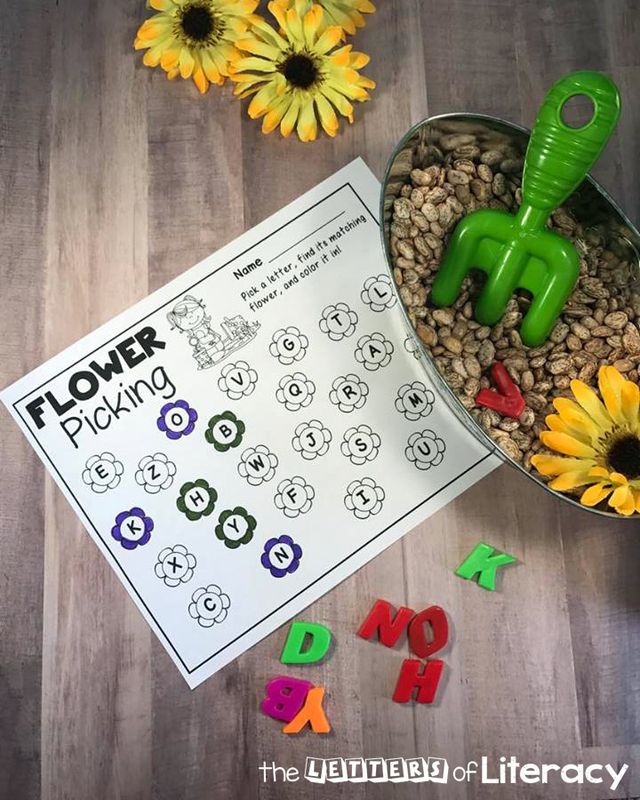 This flower garden sensory bin comes with free alphabet printables! 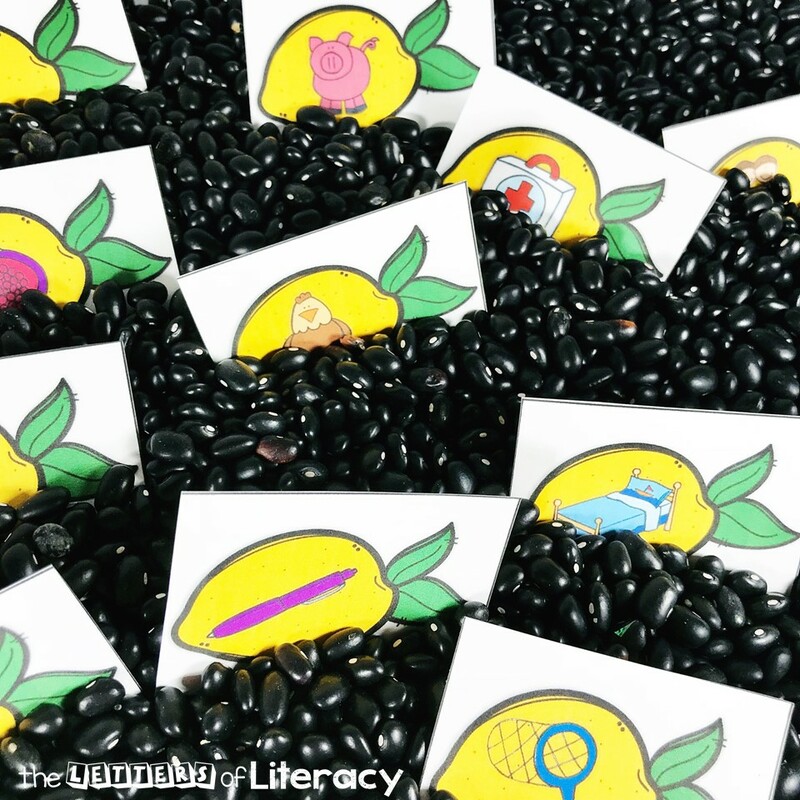 Find out how to make this sensory bin and get your free printables at The Letters of Literacy. 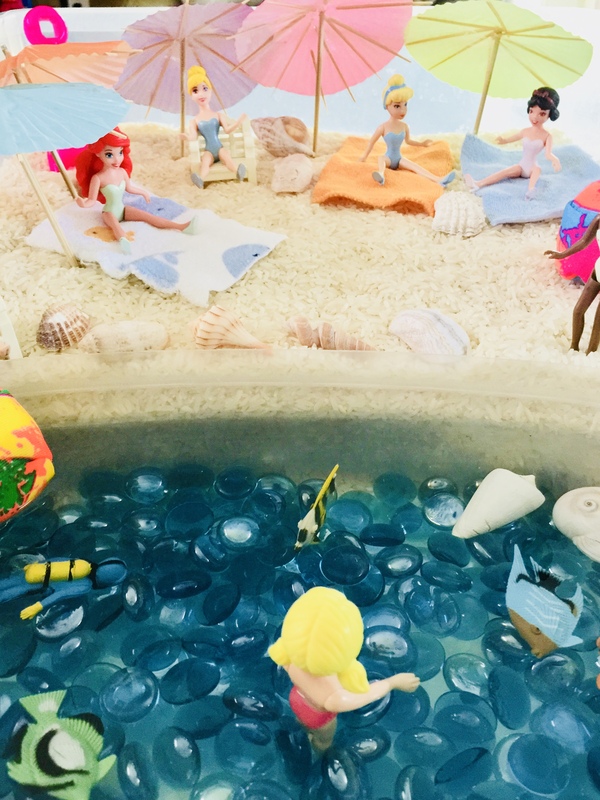 My kids loved playing with our Frozen Sensory Bin, and I know that they will LOVE playing with this summer version as well! 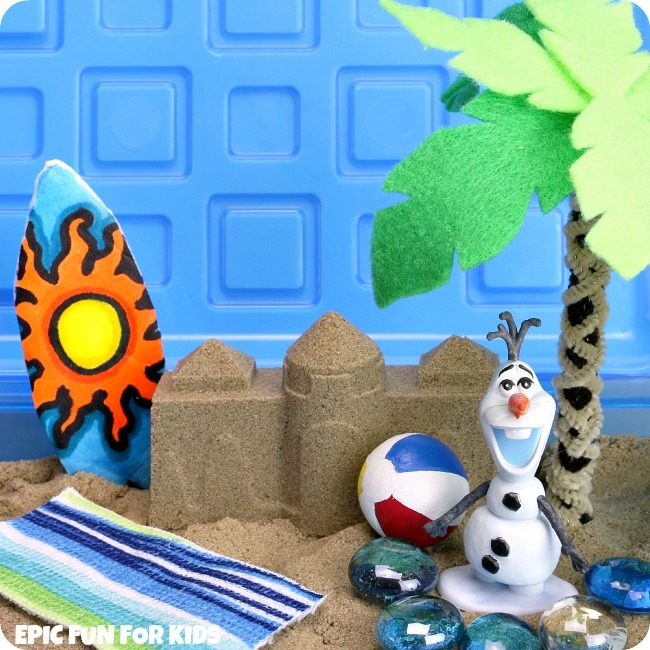 Let Olaf finally experience summer with this fun Olaf’s Summer Dream Sensory Bin from Epic Fun For Kids. Lemonade is the ultimate summer beverage! And this Lemonade Sensory Bin is the ultimate summer learning experience! Find out how to make this sensory bin at The Letters of Literacy. Watermelons are another great part of summer! 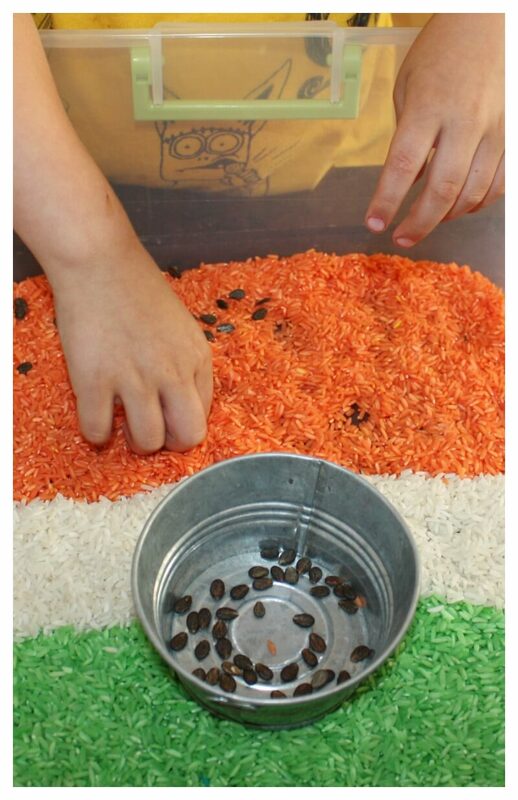 Make this fun sensory bin that also helps to strengthen fine motor skills. Find the exact instructions at Little Bins For Little Hands. 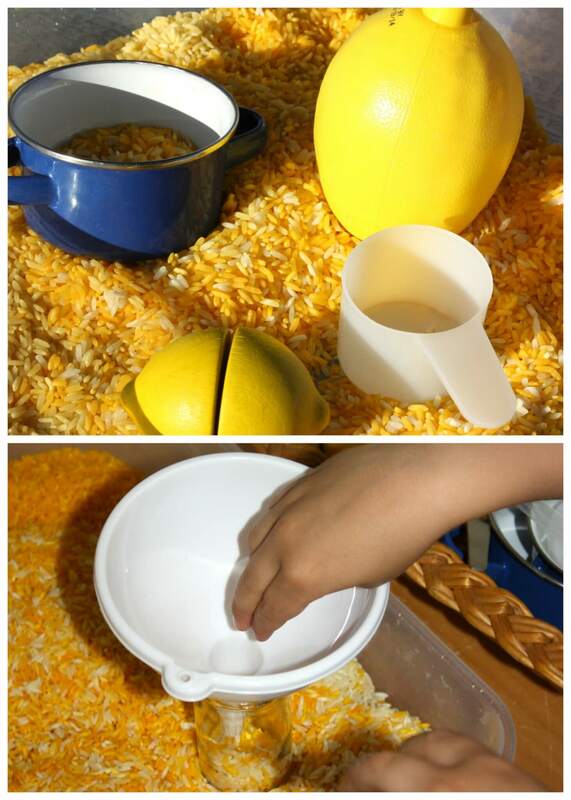 This lemon scented sensory bin not only stimulates the sense of touch but the sense of smell! Find out how to make this fun summer play bin at Little Bins For Little Hands. 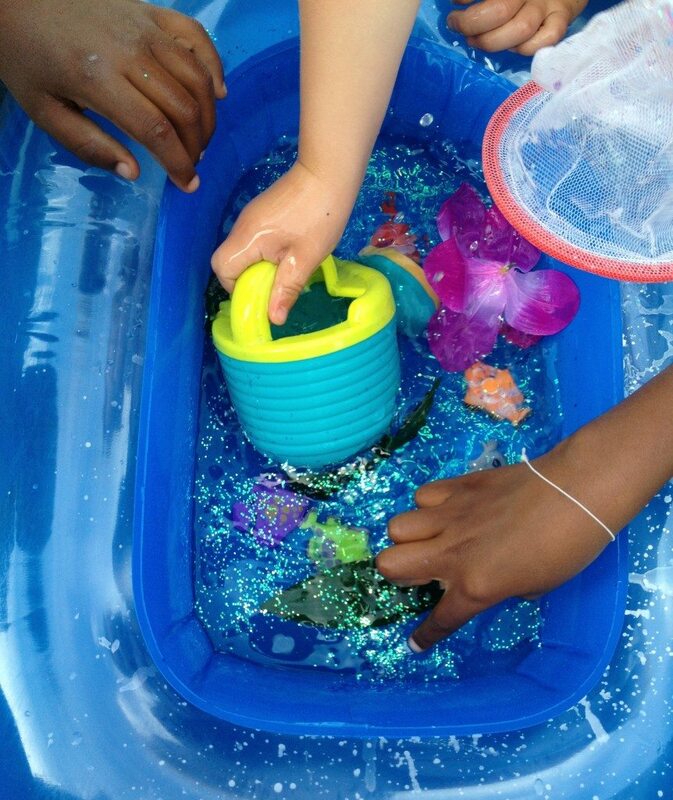 This sparkly water play is sure to keep your little ones cool this summer! Find out how to make this sensory play idea at The Chaos and The Clutter. And that is 19 Summer Sensory Play Bins! You and your child will have a blast this summer assembling and playing with these sensory play ideas! « How To Throw An Awesome Star Wars Birthday Party!